Grave Ref. : I. H. 4. No Photo – Can you help ? Sapper Samuel Gregory was born at Blackwell (Newton), Derbyshire son of Samuel and Ellen Gregory. In 1911 the family was living at 1, Ethel Cottages, Albert Avenue, Jacksdale. At the time, Samuel was 28 and employed as a coal miner hewer. The census notes that his parents had been married for fifteen years and had two children, one of whom had died by 1911. Samuel enlisted sometime in 1915 at Doncaster, Yorkshire, his place of residence noted as Bentley, Yorkshire. By October 1915 he had been drafted to France. 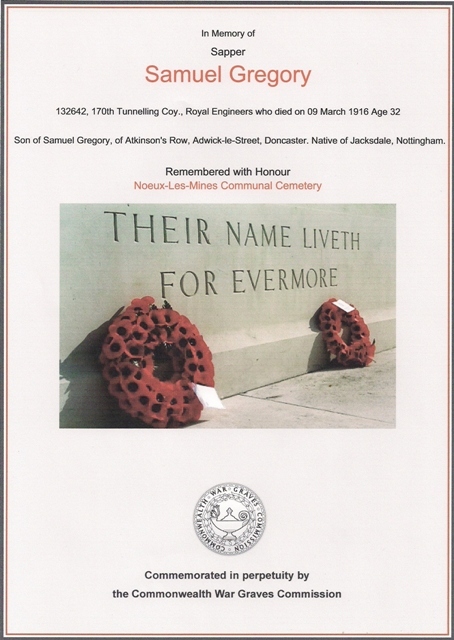 On Thursday 9th March 1916 aged 32, Samuel and Ellen lost their only surviving son when Samuel was killed in action in France. Samuel was awarded the 1914-15 Star, the British War and Victory Medals. 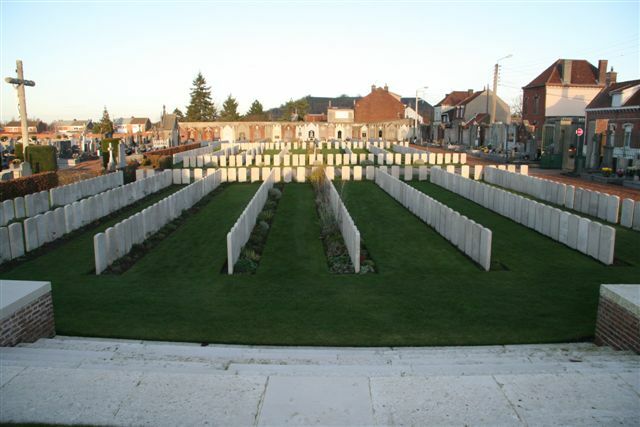 He is buried at Noeux-les-Mines Communal Cemetery, Pas de Calais, France. 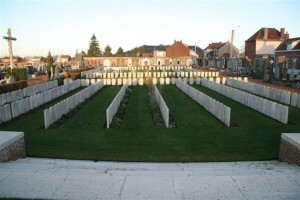 The cemetery was used between June 1915 and August 1917. Earlier burials were carried out by units and Field Ambulances. By April 1917 a full scale ‘casualty clearing station’ was in use. There are now nearly 1,000 1914-18 casualties at this site. The Commonwealth War Graves Commission Records states that his father, Samuel snr. later moved to Adwick-le-Street, Doncaster.